A close aide to late Ayatollah Akbar Hashemi Rafsanjani has ruled out foul play in the death of the senior cleric and official. Gholam-Ali Rajaee, one of the close associates of demised Rafsanjani, has reacted to the propaganda campaign launched by some foreign media outlets which have tried to create the impression that Rafsanjani’s death was suspicious. 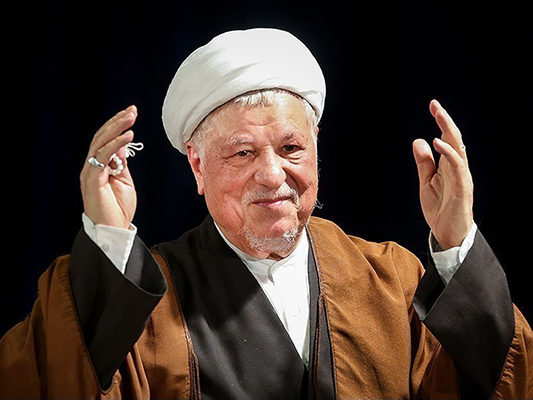 “How dare they say the [Iranian] Establishment was behind Ayatollah Hashemi Rafsanjani’s death,” said Rajaee, according to a Farsi report by Khabar Online. He asked why the Islamic Republic of Iran should want to remove one of its best people, adding that some individuals want to fish in troubled waters. Rajaee reiterated that Ayatollah Hashemi died of a cardiac arrest and that his popularity was quite obvious from his funeral which had drawn large numbers of people who had come to pay homage to that great man. Ayatollah Hashemi Rafsanjani needn’t be canonized or his prominent personality be aggrandised. He said Rafsanjani was a great character who can be neither demonized nor celebrated through propaganda. Even if the whole world wants to humiliate or canonise a person, it can’t, he noted. He added that Ayatollah Hashemi Rafsanjani was trusted by people as well as the Leader of the Islamic Revolution Ayatollah Seyyed Ali Khamenei and the late Imam Khomeini. Rajaee referred to the letters that Ayatollah Hashemi Rafsanjani wrote to the late Imam Khomeini, and said the late Ayatollah always consulted with the late founder of the Islamic Republic. Rajaee also described the late Ayatollah as a symbol of hope. He said Hashemi Rafsanjani was tortured when he was in prison during the despotic Pahlavi regime, and was about to be executed. Unfortunately, he noted, Iranians trust the word of mouth and believe whatever gossip and lies they hear. According to Rajaee, Hashemi Rafsanjani had evidence which could neutralise a smear campaign launched against him and his children. However, he added, the late Ayatollah did not want to tarnish the image of any institution, so he remained silent.